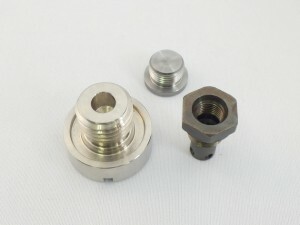 This is used for holding plugs and springs for piping, hydraulic machines and pneumatic components. 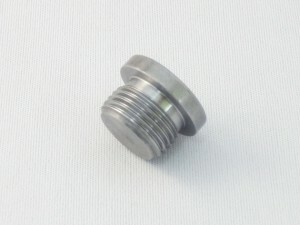 They come in various shapes such as a shape with a flange and a groove for o rings. We support requested specifications relating to materials and heat treatment, etc. Rolled screws are cheaper, but attention is required because the screws may topple. It is often used for parts for which airtightness is required, and leakage caused by scratches, etc. during manufacturing may occur in many cases. Copyright(C) Sanei co.,ltd. All rights reserved.